Spend a spring evening with Milwaukee craft breweries and meet our birds of prey! 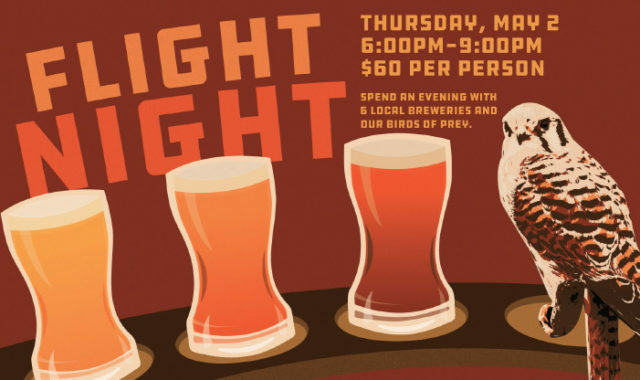 Sample seasonal, specialty, and local beers in a Schlitz Audubon tasting glass while talking with brewery representatives. Enjoy the Center’s picturesque outdoors for part of this tasting event, and meet some of our birds, including owls, falcons, hawks, and even a Bald Eagle. This event is for ages 21 and above. Tickets are $60 per person. The event supports our Raptor Program, which was founded to help educate the public about these dynamic birds and their importance in our environment. Today, 15 birds of prey live at and are cared for by Schlitz Audubon.